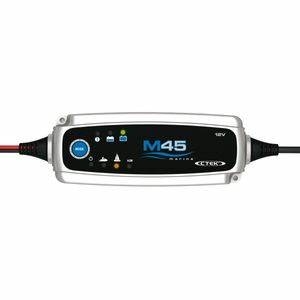 Even small boats with 12V batteries (7-75Ah and up to 120 Ah for maintenance charging) require a charger designed to withstand the demanding marine environment. 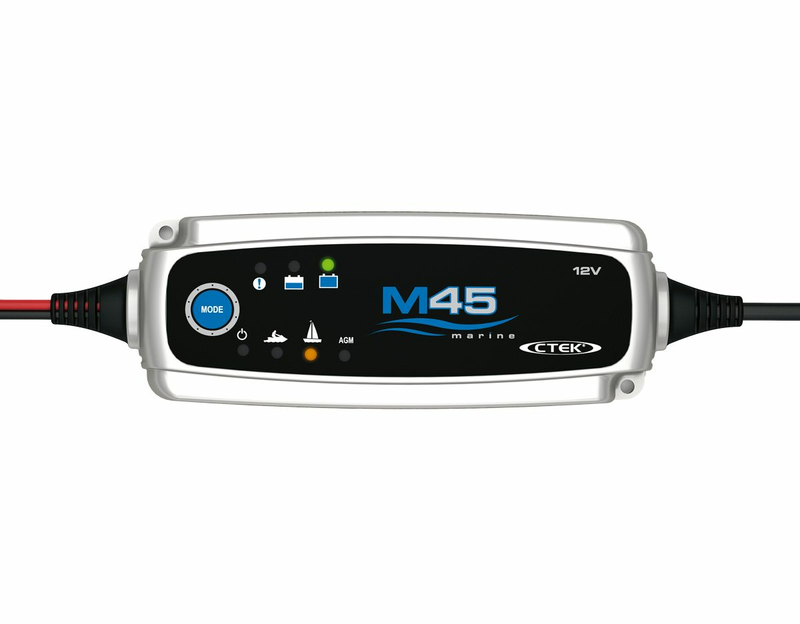 M45 is a high quality 4-step charger with unique functions such as desulphating and safe maintenance charging between seasons. 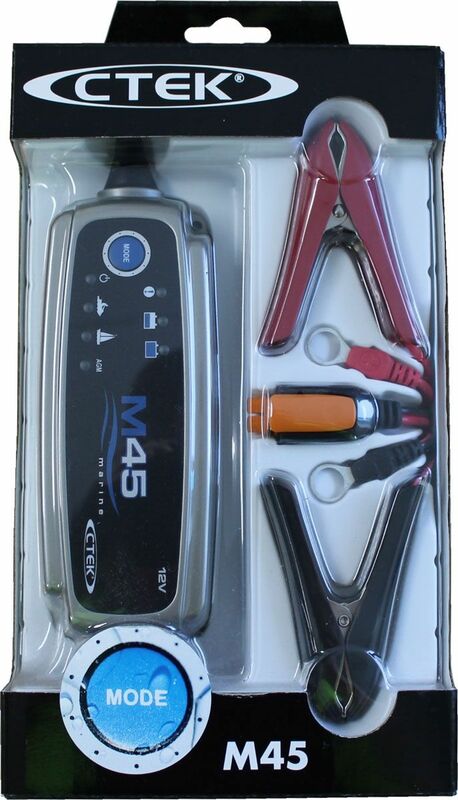 M45 features different charging programs: one for small batteries supplying 0.8A; one for normal size batteries (approx. 40-75Ah) and one for AGM batteries (which require slightly higher charging voltage of 14.7V instead of the usual 14.4V) supplying 3.6A.